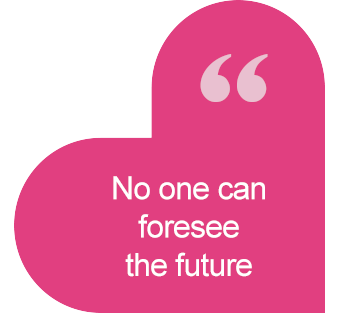 Your child is unlikely to be seriously ill, but you never know what the future may bring. If you stop working to care for your child, during a medical crisis, who is going to cover your bills? With ChildMax, you’ll be able to give your child the time they need during both the medical crisis and the recovery period, knowing that ChildMax is paying your take home salary. ChildMax will pay your take home salary for 12 months while you’re on unpaid leave. Claim payments are tax-free. Although the NHS provides world class medical care, parents become part of the care team; this can reduce earnings leading to family hardship. ChildMax is affordable and the claims process is quick and simple. It gives you one less thing to worry about, knowing that your income will remain the same while you’re not working. Your actual premium will depend on your take home salary and the number and ages of your children, subject to a minimum annual payment of £49.50 or for easy budgeting an initial payment of £8.25 followed by eleven monthly payments of £3.75 (inclusive of IPT). For example, a parent with 2 young children with a £2,000 take home salary per month, would expect to pay either a £75.77 single annual payment or for easy budgeting an initial payment of £12.63 followed by eleven monthly payments of £5.74.If the parent’s take home salary was £2,500 with one young child, the single annual payment would be £54.13 or for easy budgeting, a deposit payment of £9.03 followed by eleven monthly payments of £4.10 (inclusive of IPT). Budget friendly, either pay monthly or a single annual payment. Peace of mind, as ChildMax will pay your take home salary within 30 days of your claim being agreed. Prepared, as ChildMax will pay 12 months’ take home salary while you’re on unpaid leave. Renews annually, so you are not tied in for many years. Flexible, so if needed you can return to work part-time or another basis.